If your child doesn’t already have a violin, check our guide on how to get the ideal kids’ violin for him or her. 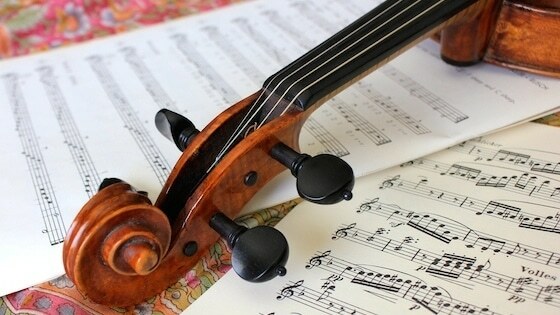 Also, we wrote a guide on violin tuners, comparing and reviewing them, so make sure to check out this post if you want to find more. When you start to play the violin, things are complicated. You have to learn how to hold the instrument, how to stand in a good posture and if you don’t have much experience with other instruments, reading sheet music can also be difficult. So here are some things that should make the process easier for you. Understanding how to play sheet music requires some knowledge of music theory. Music is written on a grid that is made of 5 lines, which have 4 spaces between them and this grid is called a staff. These lines and spaces each signify a certain pitch and thus a different note. But because there are many musical notes, and there are only 5 lines, the staff needs a clef to show which precise notes are taken into consideration. If you have ever seen written music, you’ve most probably seen a G clef being used, as it’s the one that shows that the notes should be treble and not bass. Fortunately, as a violinist, you will only have to know the G key, as only this one is used for the violin. It’s important to know that music is read from left to right, as the staff is representative of time and pitch too. The following thing to learn is that right next to the clef is the key signature. This is represented by markings called sharps and flats, and there are many of them. The signature shows which notes are altered in the piece of music. A sharp key signature placed on the line or space of a specific note signifies that the corresponding note is to be played sharper, meaning one semitone higher in pitch. On the opposite, a flat signature on a specific place on the staff shows that the note is to be played one semitone flatter. 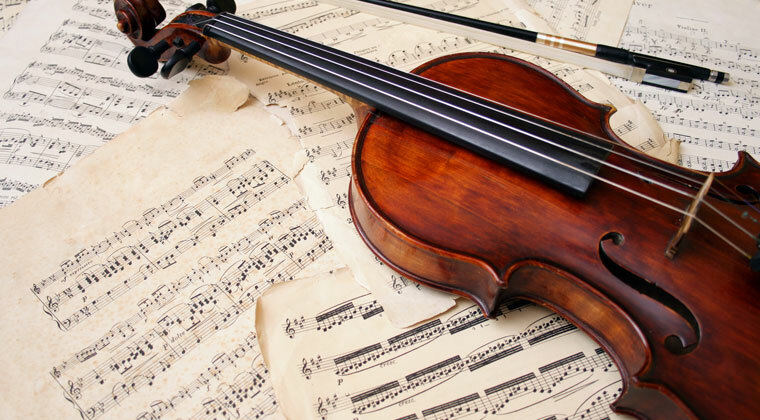 A key signature can be written as any combination of flat and sharp symbols; however, there is a common series of 13 homogenous signatures that a good violinist should know. Key signatures can be used next to the clef but they can also be put next to specific musical notes, showing that only those notes are to be altered when played. You will notice that each common major or minor key has a key signature associated with it, although there are cases when that does not apply. The time signature is another important element of written music. Without it, the player doesn’t know when and for how long to hit the notes. In general terms, this signature shows how many beats are contained in each measure. For music to sound well, you need the tempo to be repetitive and you should have a certain rhythm. Immediately following the key signature, or the clef if there is no key signature, the time signature can appear in many variations. What is most important to know is that it consists of two numbers, one on top of each other. The number on top shows how many beats there are per measure, while the number on the bottom shows which note value equals a beat. The most simple and used time signature is the one called “common time”, written as 4/4. In this signature, there are 4 beats per measure and each ¼ or quarter note gets one beat. There are many other kinds of time signatures and learning them will take some time. 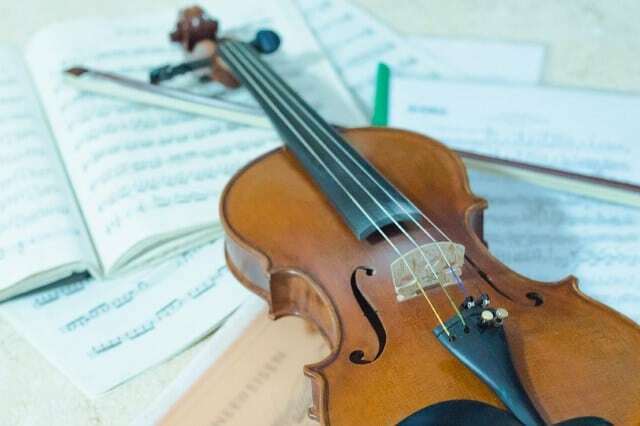 Music can’t be played without the actual notes, so having an understanding of how they look and sound is an important process of learning how to read violin sheet music. Because violin music uses only the treble or G clef, we will analyze the notes of this clef in more detail. You will see that the music alphabet only consists of seven note names and these are the first 7 letters of the alphabet – A, B, C, D, E, F, and G. However, the first line of the staff doesn’t correspond to the first letter of the alphabet and that can be really confusing. The notes that appear on the staff lines are E, G, B, D, and F. If you’re having problems trying to memorize that, try learning them using a funny method – remember the sentence “Every Good Boy Deserves Fudge”, as the first letter of these words is the representative of a note. And if you want to learn the notes that are on the spaces between the lines, remember that they spell FACE. The notes are written in different modes, and each symbol has its own characteristics. Following some simple rules, you should know for how many beats to hold a note. There are 5 common note durations and they appear in the 4/4 time signature. The longest of these notes is the full one, which is represented by an empty oval. The full note takes the duration of the whole measure, and in the case of 4/4 signatures, it takes the whole 4 beats. A half note is represented by an empty oval with a vertical bar on it and it takes 2 beats. A quarter note lasts for one beat and it’s a full oval with a bar on it. An eighth note looks the same but with a small “flag” on the bar. Its duration is half a beat. The smallest musical note, in terms of time, from these 5 most commonly used, is the sixteenth note and it lasts for ¼ of a beat. It’s a filled oval with a bar on it and two little flags. Each of these notes has a correspondent in the form of a rest. The rest is used in pieces of music as a pause between each note.